Altura CU, Jeanne D’Arc CU are among the CUs making a difference in their communities this week. RTN Federal Credit Union staff, community members and elected officials pose for a picture at the Waltham Walk Home. 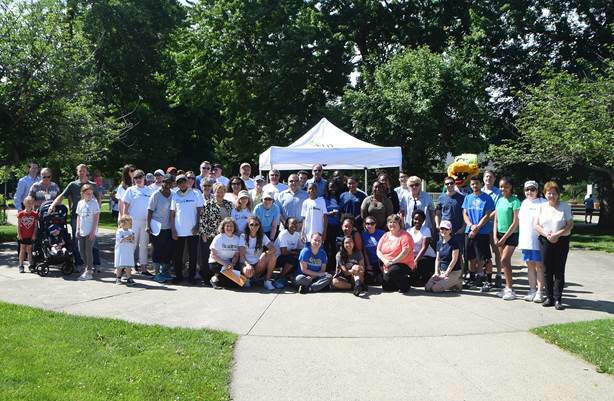 The $904 million RTN Federal Credit Union in Waltham, Mass., hosted the eighth annual Walk Home for the Homeless on June 10. More than 100 walkers, volunteers and staff participated in the 5k Walk, which took place simultaneously in three locations: Danvers Rail Trail, Dorchester Park and Waltham Common. Walk Home funds are collected through the RTN GoodWorks Foundation and donated to help homeless teens and families in Danvers, Dorchester and Waltham, and support the work of the Massachusetts Coalition for the Homeless. RTN has raised close to $180,000 since the inception of Walk Home in 2011.